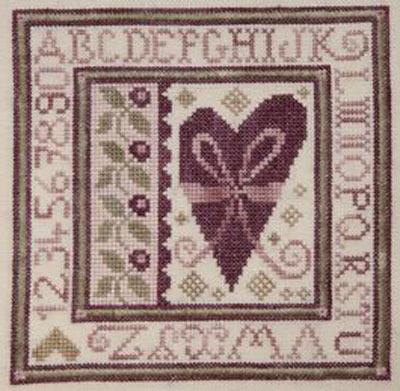 "Carre coeur" is a counted cross-stitch chart with instructions translated in English. The grid is printed on A3 paper and very easy to follow. Special stitches: This is a cross-stitch design with quite a lot of satin stitches (the green squares) and 8 eyelet stitches.